You will love this delightful 2-story house and peaceful views of LOCH LOW LAKE. 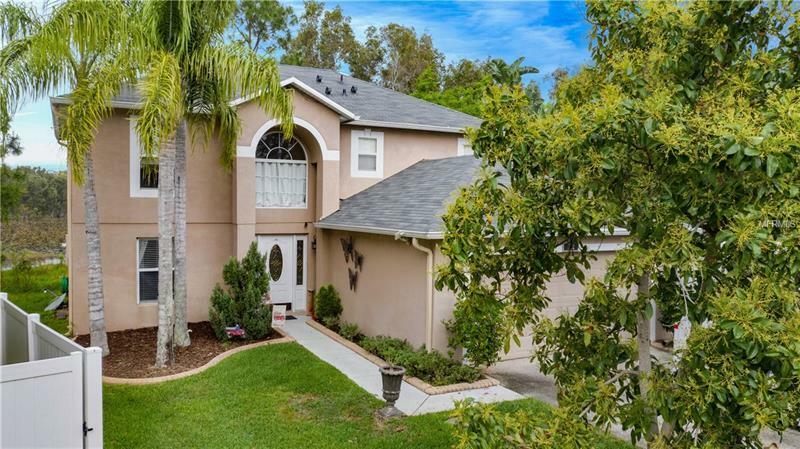 As you approach you would immediately notice a mature AVOCADO TREE and upon entry a 4-bedroom 2.5-bath home with a 2-car attached garage giving you 2142 sqft of comfortable living. WOOD TILE FLOORS throughout first floor a completely RENOVATED KITCHEN in 2017 with GRANITE COUNTER TOPS NEW STAINLESS STEEL appliances TWO PANTRY CLOSETS and CROWN MOLDING throughout kitchen and dining room LAUNDRY ROOM OFFICE SPACE HALF BATHROOM and STORAGE CLOSET under the stairs. The second floor has CARPET throughout where you will find the 4 bedrooms and the TWO FULL BATHROOMS MASTER BEDROOM has two convenient closets and DUAL SINKS in the MASTER BATHROOM. Recent upgrades include: NEW ROOF 2018 NEW AC 2016 and NEW WATER HEATER 2013. SCREEN PORCH AND DECK where you can enjoy the LAKE VIEWS and a charming COW FARM. All of this situated in a convenient and friendly neighborhood.